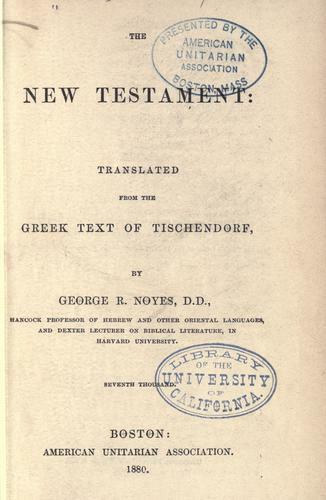 1 edition of The New Testament found in the catalog. Add another edition? Are you sure you want to remove The New Testament from your list? 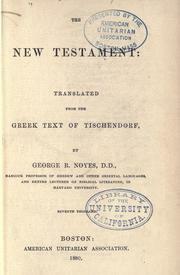 Published 1880 by American Unitarian association in Boston . Bible. English. N.T. 1880. Noyes. vi, p., 1 \U+fffd\., 570 p.
July 12, 2009 Edited by EdwardBot Found a matching record from Internet Archive .